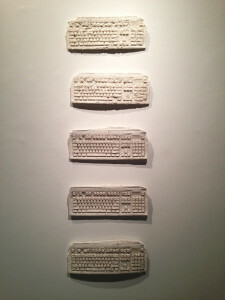 Here is a sneak peek of my contribution to the LIU POST art department faculty exhibition at The Steinberg Museum of Art. 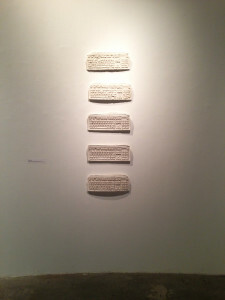 The show is currently on view through October 14th 2015. 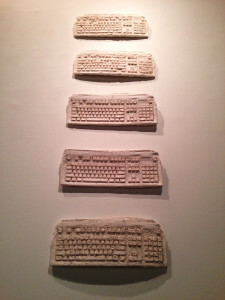 Here we see five outdated keyboards cast in handmade paper pulp. They hang in a vertical line climbing towards the ceiling. 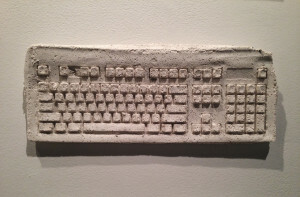 The paper pulp is used as a casting material, it is organic yet it has been synthetically re-processed, isolated and solidified for a new purpose. 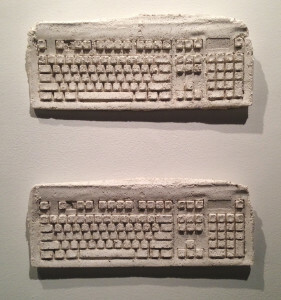 The keyboards are no longer capable of producing their designed set of intentional tasks. Yet our personal memories and experiences connect and take over upon viewing. Or do they? 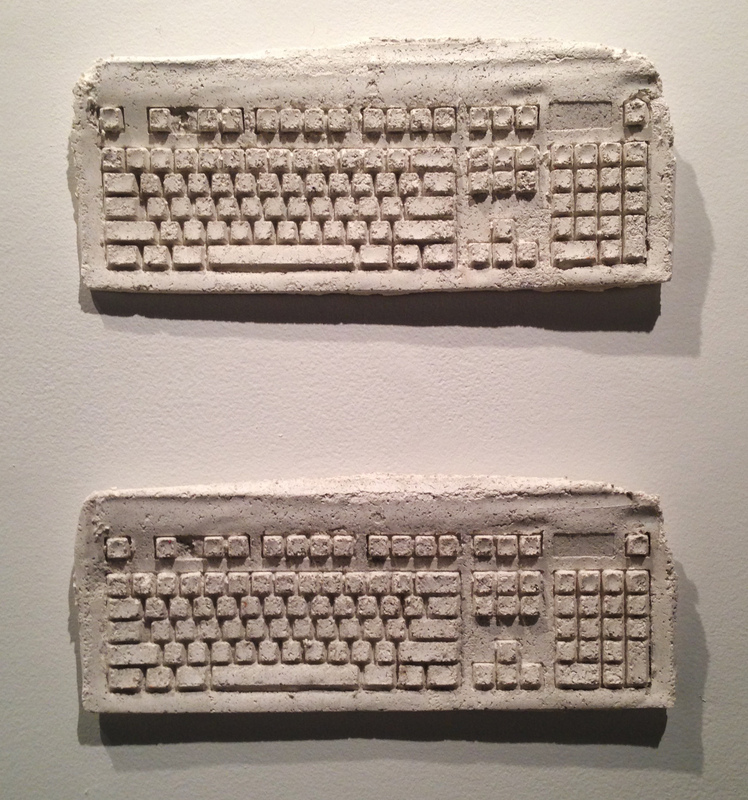 Depending on your age, the keyboards may remind you of your grandparents. They have taken on a new role in their static arrangement. The arrangement is temporary and ephemeral. 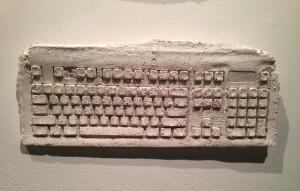 Preservation and archiving may be challenging..